Neuroplasticity, also known as brain plasticity, is defined as "the ability of intact brain cells to take over functions of damaged cells; plasticity diminishes with maturation." This means that if a part of the brain is damaged from an accident or some other kind of trauma and is unable to correct itself, another part of the brain will take over the function in order for the brain to continue to operate as it did before the trauma. For instance, if a person's brain is injured in a car accident and there is damage to the part of one side of the brain that controls cognition, the person is likely to lose the ability to maintain cognitive functions properly. Therefore, another part of the brain may be able to take over the job of the damaged part of the brain so that the person will continue to operate in the same manner. Neuroplasticity can be increased by doing brain exercises and keeping the brain fit. Strengthening the brain will also help the brain become more resilient against certain trauma and damage. Brain fitness can maintain or even increase brain functions in animals and humans. Exercising the brain can be a simple, easy and fun way to increase the cells and molecules of the brain to promote neuroplasticity. It induces the genes that are associated with neuroplasticity. 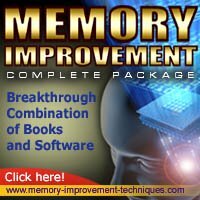 There are certain non-intrusive brain exercises that can help treat the brain and retrain the brain to think in a different way. Repetition and obstacles can help the brain muscle get stronger. The best part is that there is no medication required. Memory exercises, keeping up with the noises that you hear in everyday life and picking out details in things that you see everyday are a few simple ways to help build the brain muscle. Word games and brainteasers are simple, entertaining and enjoyable ways to help build up the brain and encourage or even treat brain functions. Accidents, trauma or other disturbances in the brain are not a common thought that we have day in and day out, but it is definitely something that people should take seriously. Keeping the brain fit by exercising it can help prevent a person from losing certain abilities if an accident does happen that affects the brain. Brain plasticity can mean the difference between remembering the day you graduated from high school and not even being able to remember your name or what year it is. Brain Fitness Program - Can it help? The Mind and the Brain: Neuroplasticity and the Power of Mental Force by Jeffrey M. Schwartz and Sharon Begley.